Central Florida Fishing with Capt. Steve N.
Susan and Steve came from Philadelphia, to visit the theme parks in Orlando, FL. At the last minute they decided to do some fresh water fishing. They heard Florida was famous for its Bass fishing, and had to take advantage of the opportunity. 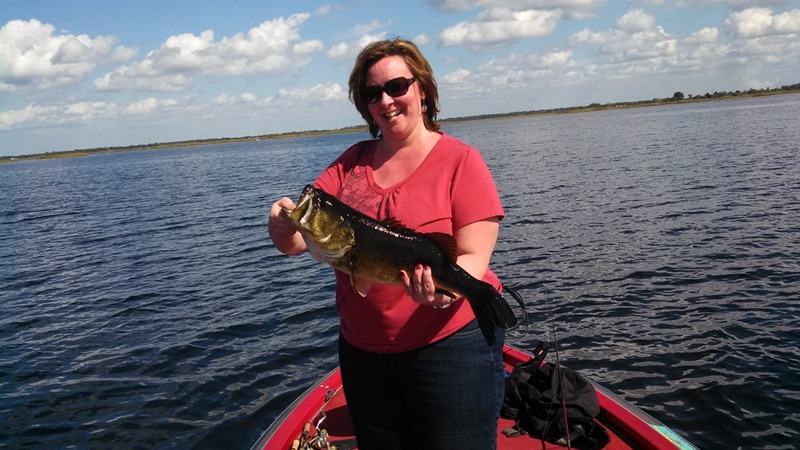 They fished for a half day on Lake Toho with Capt. Steve. 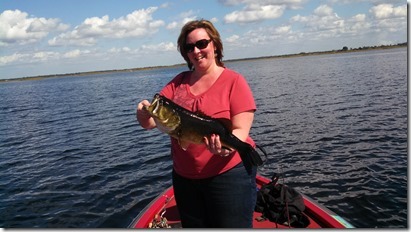 Susan caught the biggest fish of the day, which weighed in just under six pounds. They both did a great job fishing and I hope to fish with them again some day.